We know you are thinking about family, friends and strangers who have been impacted by Hurricane Florence. NBC Connecticut and Telemundo Connecticut are proud to connect you with a way to help those devastated by Hurricane Florence. 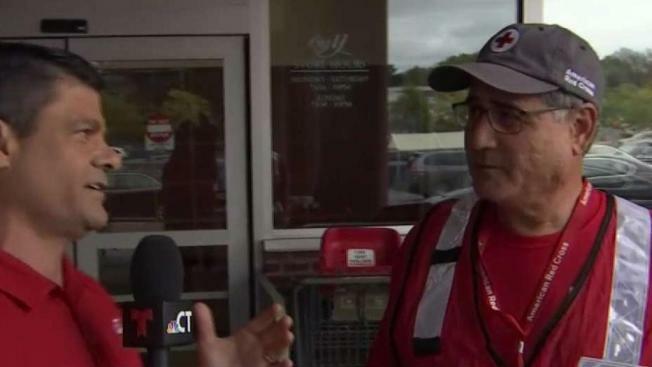 On Thursday, September 20, NBC Connecticut, Telemundo Connecticut and the American Red Cross will be accepting your tax-deductible monetary donations at three Big Y Supermarket locations across Connecticut. Come meet the team from 11 a.m. to 7 p.m.
To direct your donation specifically to Hurricane Florence Relief, checks must be made out to American Red Cross, with “Hurricane Florence Relief” written in the memo line. Only cash and checks will be accepted. If you can’t get to one of these locations, you can still help by donating through the Red Cross website.